Please come to our child friendly, non-c0nfrontational, all inclusive Inaugural AGM. For the last 17 months we have been asking as many Crouch Enders as we can how they see the future of the area. We have mapped out a Neighbourhood Area (see map below) and begun asking people what their priorities are, and what they would like to see change in townscape, conservation, traffic, housing, retail, business and energy among other subjects. Our Neighbourhood Forum and Neighbourhood Area were approved by Haringey Council last December, and we are now ready to start writing our detailed Neighbourhood Plan. We’ll be discussing what we need to do next, and how you can get involved., so please do come along to the AGM, visit our website or comment on Twitter or Facebook. The current Steering Group is being replaced by an Executive Committee, now that the Forum has been approved by Haringey Council. All members of the Forum, including business members, and representatives of affiliated organisations (one per organisation) are eligible to stand. People wishing to stand should be nominated by January 24th (self-nominations are sufficient).The list of nominations will be circulated 7 days in advance. There are 15 places on the Executive Committee. Anyone unable to attend in person can give a proxy to another member. They should apply 7 days in advance. All residents of the Neighbourhood Area (see map below), businesses and their employees located within the Area (one vote each), and representatives of affiliated residents associations, friends groups and amenity societies and associations are eligible for membership, as are all who work, visit, shop, own property or are being educated in Crouch End. 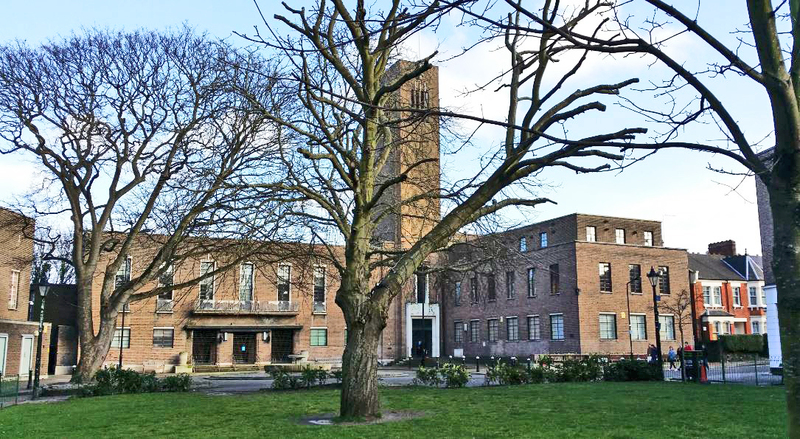 Crouch End councillors and one representative councillor from Stroud Green, Muswell Hill and Hornsey wards (all of which have a part of their ward included in the Neighbourhood Area) are also eligible, as is the GLA member for the area. To assist the Forum, please apply for membership by e-mail to the Acting Secretary 7 days in advance (this will also be possible immediately before the meeting). Photos will be taken at the meeting; if you do not wish to appear in these, please contact the Acting Chair.